We are proud to announce the addition of a new fabric to our lineup! Whether you are a hunter or just a fan of camouflage, we now offer a 8 oz. marine-grade polyester material that is both strong and durable. Treated with UV inhibitors and an anti-fungal, anti-microbial finish, the Carver camo cover is both breathable and water repellant. 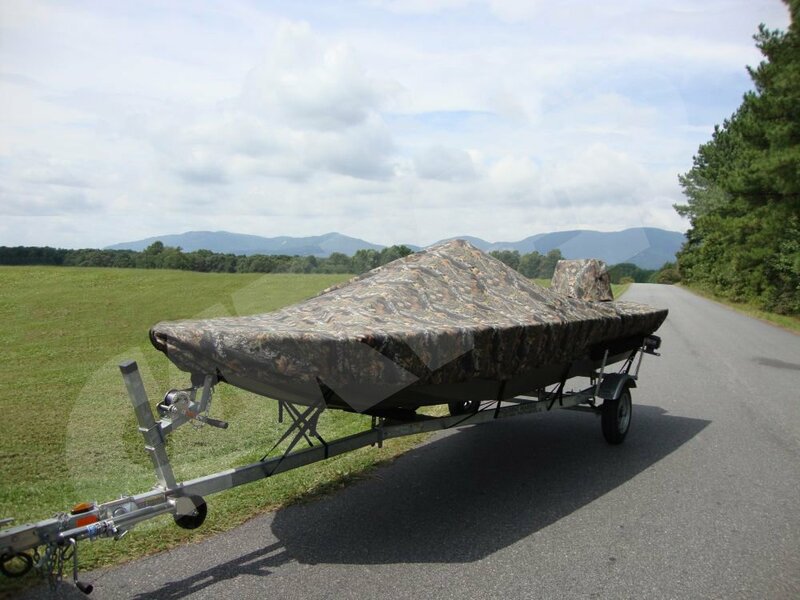 If you are looking to conceal your boat or just love the camo look, we can help! 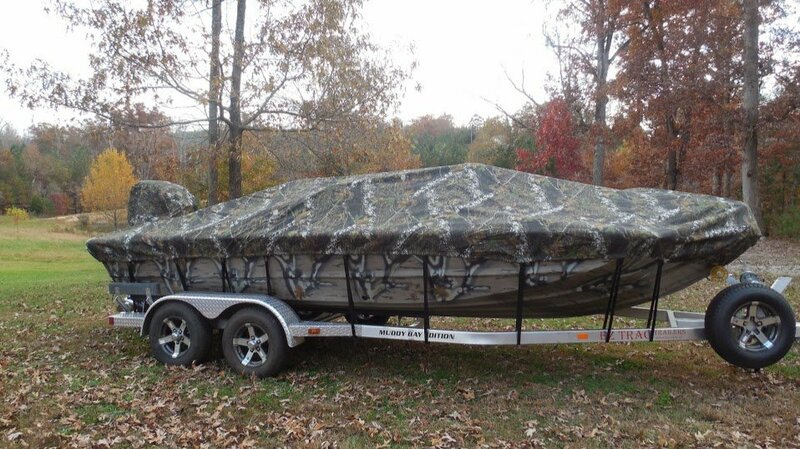 Our Camo boat covers and bimini tops are made in the USA by Carver Industries. These new covers and Bimini tops are available in two color patterns—Shadow Grass and Break Up—both by Mossy Oak. They have both been a best seller for jon boats. Carver Industries Mossy Oak Boat Covers and Bimini Tops from CoversDirect® will help you boat in style with our new camouflage fabric! One thing is for sure, no matter what material you choose, you can’t go wrong with a Carver cover. In the cover business for over 30 years, Carver has proven over and over to produce top quality products that will last for years. Carver Mossy Oak boat covers and Bimini tops are just one more way to give customers what they’ve been asking for! Give us a call here at Boat Covers Direct at 1-866-626-8377. We are happy to answer any questions you might have about material options. Next: Why Attend a Boat Show?